Tuesday 4/23: 11 AM - 6/7 PM - TAG School of LI and Queens. Wednesday 4/24: 11 AM - 6/7 PM - TAG School of LI and Queens. Give the gift of unlimited fun! Now just $144.99. Purchase Online. Click the button to buy! Adventureland is open on weekends and holidays throughout the fall. Come down for some weekend fun! Tickets Required – Must Be Purchased Here in Advance! Purchase Online. Click on the image to be redirected to the store. 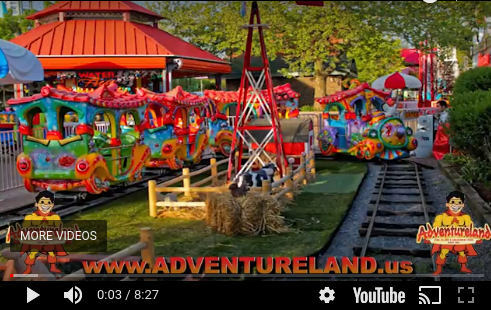 Watch a video of all the fun attractions and games Adventureland has to offer! May 12th, Mother Day’s, all Moms get a FREE POP Band when they donate a toy to our Helping Hands Foundation toy drive. Adventureland Amusement Park is only located 30 minutes east of New York City, at 2245 Broad Hollow Rd. in Farmingdale, New York and features over 30 fun and exciting rides and attractions. 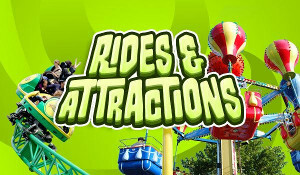 Adventureland has something for everyone with a variety of thrill rides, family rides, kiddie rides, and water rides. 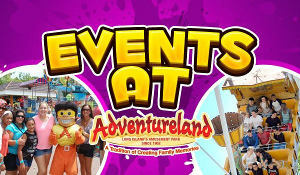 Corporate Events and Group Outings at Adventureland Amusement Park New York. 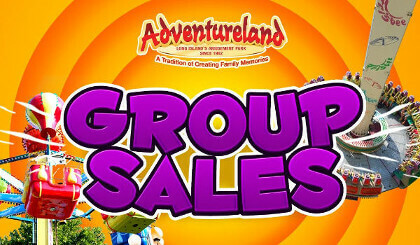 Enjoy fun and savings at Adventureland with Group Rates. Reserve Your Group Event at Adventureland Amusement Park! 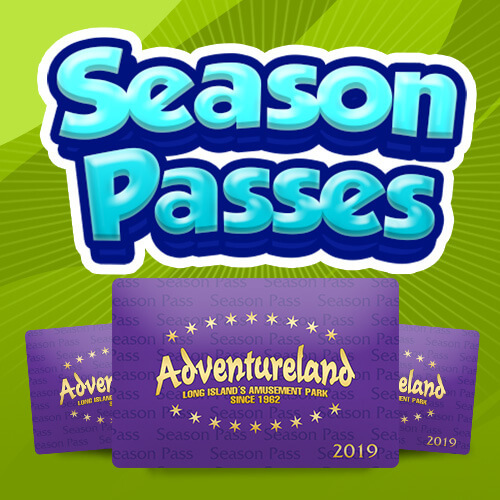 All season long Adventureland offers fun and exciting events. Stay up to date with the latest upcoming events and specials! Adventureland is Long Island’s Amusement Park since 1962 – Check out our wealth of fun rides and attractions! 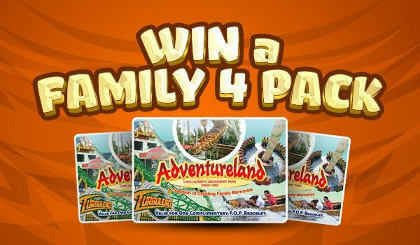 To stay updated and get a chance to win a Family Four Pack!